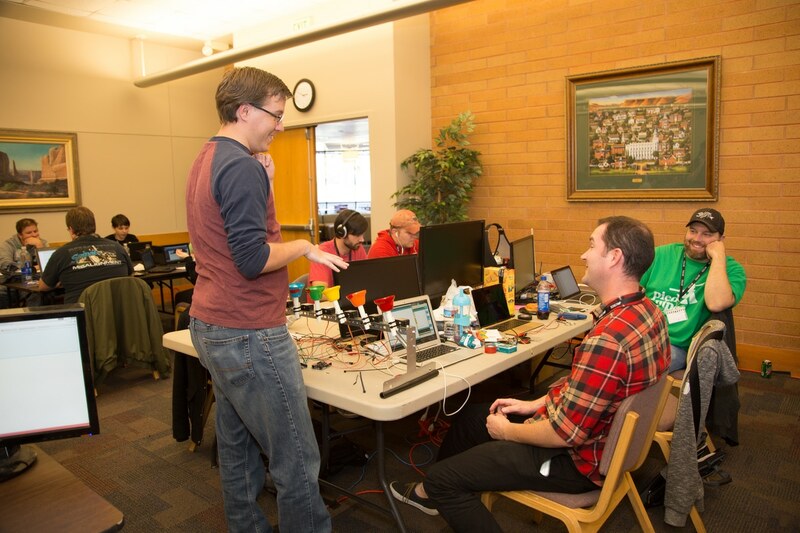 Code Camp is a programming, design and entrepreneurship contest all rolled up into a ridiculously compressed 24-hour event each November. It’s crazy fun! Teams ranging in size from one to four participants compete against other teams to build the best web or mobile app.